An important Western Australian refuge for humpback whale mothers to nurse their newborn calves may no longer be the safe haven for them it once was. New studies show planned development projects threaten to disrupt the activities of humpback whales in Exmouth Gulf. A team of marine biologists has explored the behaviour of mother humpback whales and their calves in the Exmouth Gulf, off the North-West coast of Australia, as well as the potential impact that an increase in shipping traffic may have on them. Using suction-cup tags and acoustic sound recording equipment, the research team studied the behavioural activities of pairs of nursing mother whales and their calves in the Exmouth Gulf, and compared them with the activities of whales in the Godthaabsfjord, Greenland – a popular feeding ground for humpbacks. The researchers found that while in Exmouth Gulf, females with new-born calves minimise their energy expenditure in an effort to maximise milk energy transfer to the calf and maintain a healthy body weight ahead of an approximately 8,000 kilometre migration with their young to their Antarctic feeding grounds in the summer months. Unfortunately, during this period of low energy expenditure, mothers and calves spend a considerable amount of time stationary at depth, out of sight of human observers, but still within the reach of commercial ship hulls, placing them in the danger zone of being struck by vessels. 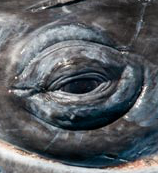 With the area marked for commercial infrastructure expansion that includes dredging for a new causeway and increased shipping traffic, Murdoch University’s Professor Lars Bejdersaid is concerned that there will be an adverse impact on the whales at a stage of life when they are most vulnerable. Through conducting the acoustic surveys, the team also found that the mother whales communicated with their calves using sounds at a similar sound frequency as some ships, meaning the noise generated by the vessels could potentially interfere with this vital communication. They say the soundscape in Exmouth Gulf is dominated by biological sources from waves, snapping shrimp and other whales, so even a moderate increase in noise from vessels could decrease the communication range of the humpback whales. The researchers found that a reduction in the speed of ships travelling in and out of this environmentally-significant area could mitigate the negative effect of shipping noise on the nursing whales and their calves, and reduce the potential for vessel strikes.